The Abbotsford Convent is a rich artistic treasure nestled in suburbia. Spread over 16 acres, it was once identified as the biggest religious institution in the Southern Hemisphere. It now boasts a diverse artistic aura and is a breath of fresh air in the midst of a gentrified pocket of Melbourne. The Abbotsford Convent is currently undergoing huge renovations to improve its image as a cultural hub. According to the Abbotsford Convent Foundation Business Plan, only 60 per cent of the Convent’s buildings, grounds and gardens are presently usable. In 2015, the Federal Government announced that the Abbotsford Convent Foundation (ACF) would receive a challenge grant of $2.68 million from the National Stronger Regions Fund (NSRF) to renovate the 3600 square metre building and surrounding land, according to the Abbotsford Convent website. The photos that follow walk you through the Convent’s invaluable artistic community, home to artists, art galleries, educational workshops, markets and much much more. Ralf is working on his latest three-layered stencil artwork depicting the iconic Collins Street landscape in Melbourne’s CBD. Photo: Caitlin Matticoli. The Australian Government bought the Convent off a developer in the 1990’s. Photo: Caitlin Matticoli. The Contemplative Garden is regularly maintained by gardeners and landscapers. Photo: Caitlin Matticoli. The Abbotsford Convent has a calming aura about it. There are endless hidden spaces to sit alone or in company. Photo: Caitlin Matticoli. The Convent started out as a safe place for nuns and girls in the late 1800’s. Photo: Caitlin Matticoli. There are now hundreds of tenants that occupy the offices, workshops and art spaces on the ground. These rustic legs were made by fibre artist Wendy Golden who has a studio in the convent. Photo: Caitlin Matticoli. At its peak, the Convent housed 1,000 women and children on its fully self-sufficient property and farm land. Photo: Caitlin Matticoli. While walking through the Abbotsford Convent, you will find a few of these money boxes requesting funding. Photo: Caitlin Matticoli. Stone pillars. Photo: Caitlin Matticoli. Every nook is covered in art. This photo was taken in the ladies toilets beside popular pay-as-you-feel restaurant Lentil as Anything. Photo: Caitlin Matticoli. A handful of catering companies are located inside the Abbotsford Convent. One of them set up this fantastic table setting for a wedding held the same afternoon this photo was captured. Photo: Caitlin Matticoli. Art installation found inside the Convent, hanging from an old staircase. Artist unknown. Photo: Caitlin Matticoli. Melbourne street artist Lushsux is recognised for his large murals on streets, walls and other structures. He goes without a name to keep anonymous and with a following of 210,000 on Instagram, his work speaks for itself. 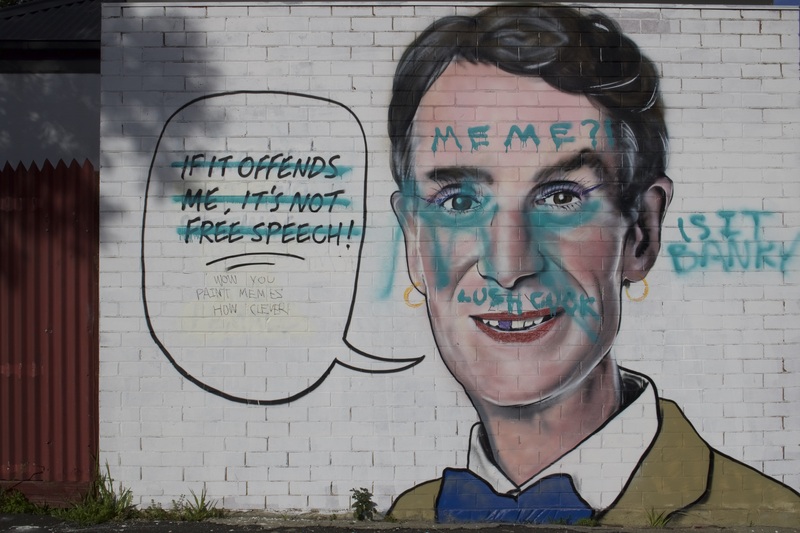 Lushsux is considered the first meme artist on social media. Trending memes are constantly created on social media based on popular events and issues that happen in the media. 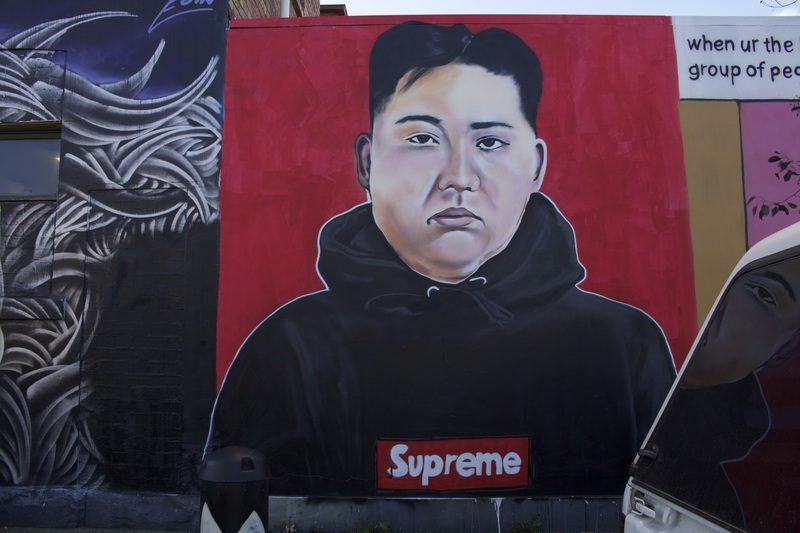 Lushsux makes a comical meme out of the trends and paints them. He started painting murals around Melbourne and now travels the world working on murals based on trending events on social media. 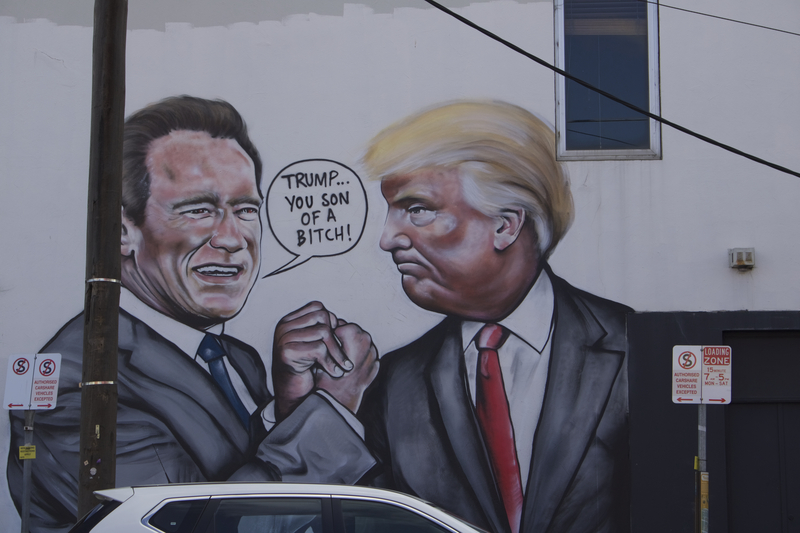 He has painted famous A-list celebrities and politicians such as Kim Kardashian, Kanye, Donald Trump, Seinfeld, Kesha, Kin Jong Un, Kanye and Bill Nye. 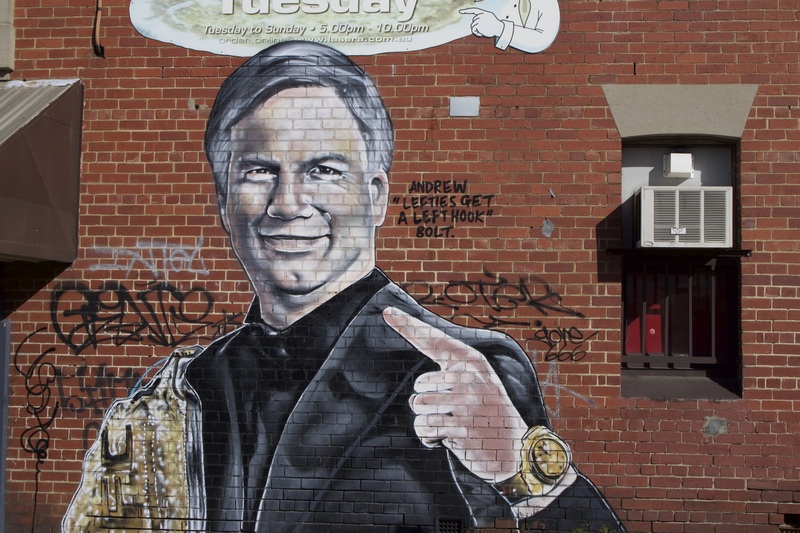 A mural of Andrew Bolt appeared after he got attacked on the streets by two men that may be linked to Antifa (a leftist group). 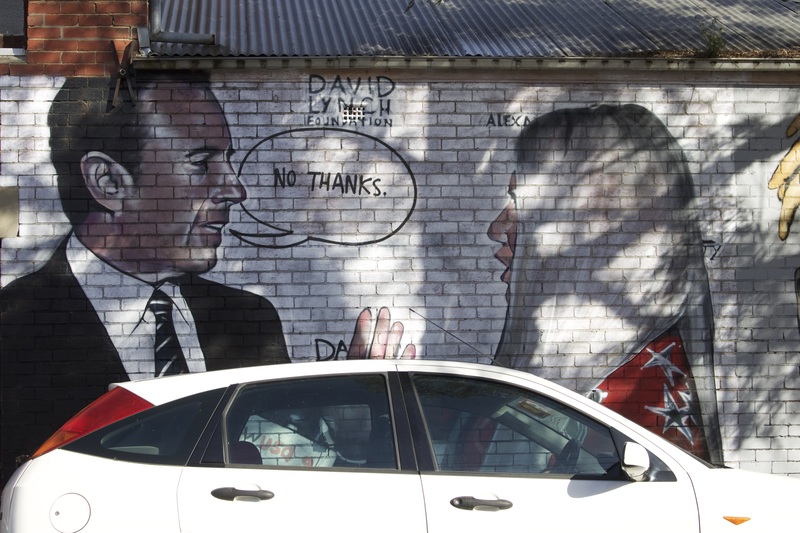 “Lefties get a left hook” was added to make the mural comical and focus on the fact that Bolt punched one of the attackers. Photo: Zathia Bazeer. A Fitzroy institution boasting more than 35 years of history, the Grub Street Bookshop is the perfect embodiment of a second-hand bookshop. In the heart of Brunswick Street, the bookshop’s name has its origins in 19th century England where Grub St in London was home to aspiring writers and low-end publishers. Today, the Grub Street Bookshop hopes to cultivate community engagement with aspiring writers by making it not only the home of a vast array of literature, but also a community hub for readers and writers alike. Noir at the Bar is one initiative that co-owner Regan Brantley has brought to life as part of a recent revamp of the bookshop. “Noir is a group of Melbourne’s best noir fiction stylists reading their works to an audience in an intimate setting,” Ms Brantley said. “Nights like Noir at the Bar make our space multi-functional. We want to be more than just a bookshop,” Brantley said. The collection at the Grub Street Bookshop is indeed more than a smorgasboard of recycled books. “We don’t like to see books as old or used and we are selective about the titles we purchase,” Brantley said. This selectivity is what makes the Grub Street Bookshop a refreshing change to the stereotypical second-hand bookshop. The curation of titles and careful selection of works ensures that Ms Brantley and her co-conspirators have expert knowledge in particular genres. 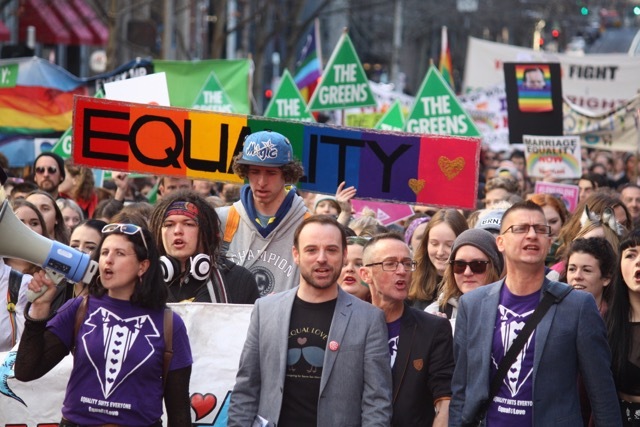 For Ms Brantley, one such specialty area is Lesbian, Gay, Bisexual, Transsexual and Intersex (LGBTI) literature. Ms Brantley is the brains behind a new idea that adds appeal to new readers and long-time literature lovers. The ‘Don’t Judge a Book By Its Cover’ concept involves Regan wrapping a selection of books in recycled paper. 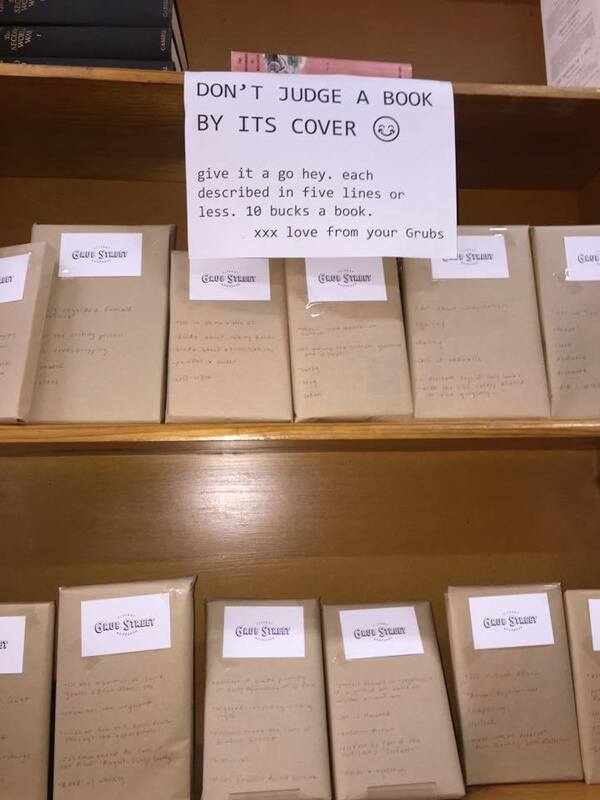 A three-line synopsis of each title is given and for 10 dollars customers are able to purchase their mysterious novel in a lucky-dip style concept. “The idea has been really popular. It’s like people are giving themselves a present. They get to unwrap it and get some enjoyment when they reveal what they’ve come home with,” Brantley said. Despite print literature being in decline, the Grub Street Bookshop had three ‘twenty-something’ book lovers in its store recently who were first-time visitors. 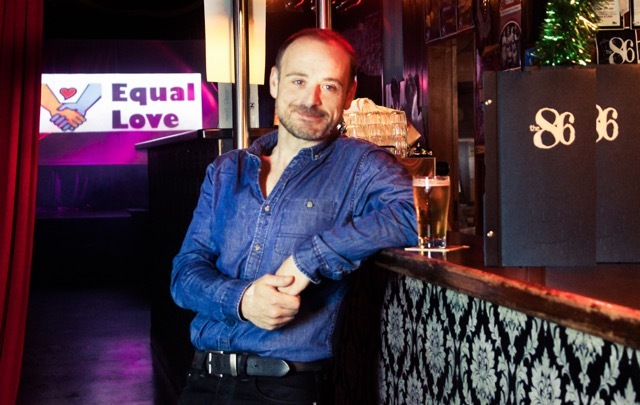 “We love the vibe, it’s very Brunswick Street. This collection seems to have depth and I like how well-organised it is,” one of the shoppers Tyson Gould remarked. The cultivation and expertise inside the Grub Street Bookshop make it a worthwhile visit, whether it’s for a five dollar classic Penguin novel or a recommendation from Regan and her team. 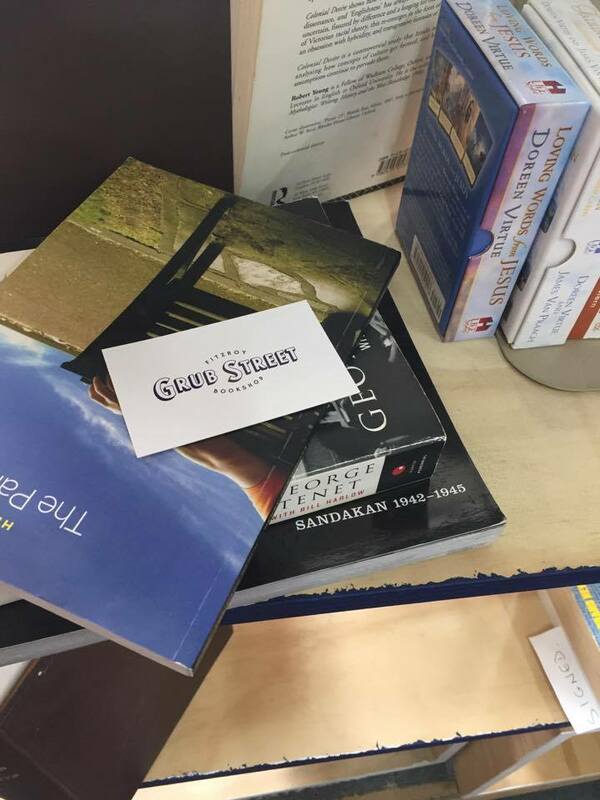 Grub Street Bookshop is located at 1/379 Brunswick St, Fitzroy, VIC 3065, open daily from 10am-6pm. (03) 9417-3117. This month a series of art murals are being installed around the City of Yarra in celebration of 100 years of Maternal and Child Health services. Yarra City Arts and the Maternal and Child Health Service of the City of Yarra have partnered up to develop an Art Trail, featuring a series of pop-up artworks installed around the Yarra at different Maternal and Child Health (MCH) centres, from June 30. 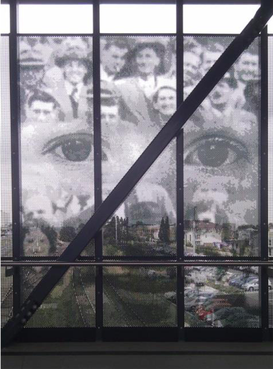 Commissioned by the Yarra City Council, the purpose of the Art Trail is to acknowledge and celebrate the history of MCH services and the importance of the centres to local communities. The Art Trail is a part of the project #100MCH, which is currently being curated by experienced historian Cassie May. The centenary is being celebrated through art because, “Art communicates to everyone, [and shows] how important the service is, and how it started 100 years ago [but] is still relevant today,” said curator, Cassie May. Working alongside Cassie May, to create the Art Trail, are artists Kitty Owens and Lizzie Dennis. Both Kitty Owens and Lizzie Dennis were brought onto the project because of their personal experience with the MCH services and their ability to empathise with families and new mothers using the MCH services. “I knew that they could feel [and] express and funnel [their emotions and empathy] into a single piece of content, [and] it’s delightful to see that they enjoy their work,” said Cassie. The Art Trail takes the public on a tour of the sites located in the Yarra where MCH services were initially set up and still exist today. Each site tells a different story through the painted or paste-up art pieces. “We draw the public’s attention to those spaces in a new way. 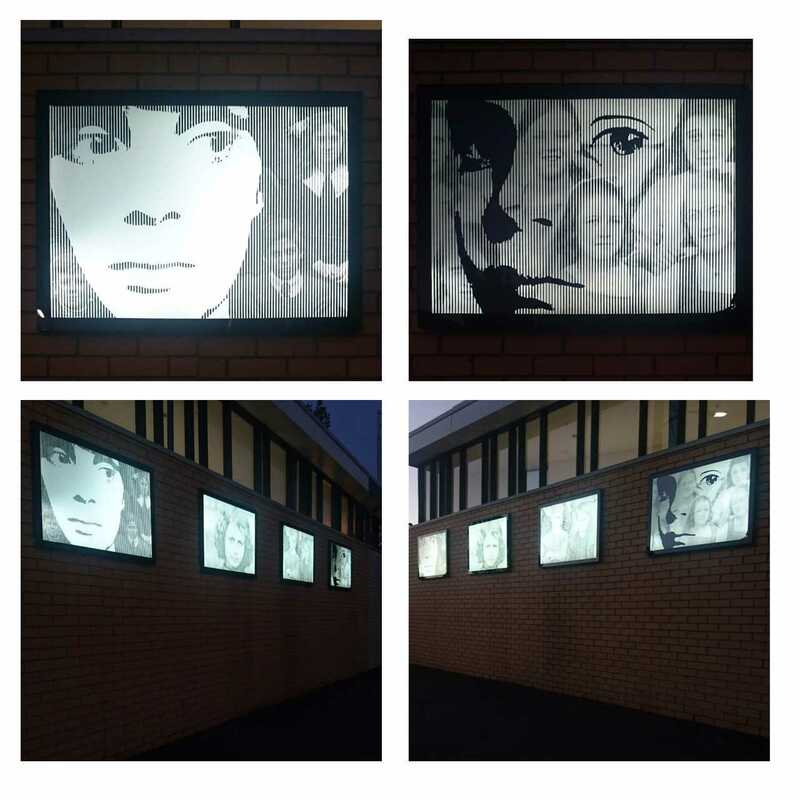 Not only is some of the history of the sites exposed, through Kitty Owen’s historical paste-ups (Love Them Back) for instance, but the sites are also reinvigorated,” said artist Lizzie Dennis. “[The] contemporary painting of simple line work (located at the MCH centre, South Richmond) may not be seen at first glance, but hopefully the discovery of the imagery provides a happy moment of reflection and perhaps even memory back to those crawling, feeding, playing and reading moments, and in turn the appreciation for the amazing maternal and child health services we are lucky to have,” she said. The Maternal and Child Health Service of today is an invaluable resource for families with children from birth to school age. It not only promotes healthy outcomes but provides free practical support and advice. The purpose of the service is to reduce the high death rate of babies in the inner city suburbs of Melbourne, providing free practical advice to mothers and families regarding nutrition, breastfeeding, hygienic preparation of milk, and mothercraft, according to the Yarra City Art website. “The value of the MCH service and the need to acknowledge those that established the service and continue to provide the service today [is important]. As a mother of one and [with] one on the way, I have directly experienced the help and assistance that the Maternal and Child Health Care services provide, and understand the necessity for such services,” said Lizzie Dennis. You can follow the project on Instagram @YarraCityArts #100MCH to track the artworks at each location.